Discover the world of Artificial Intelligence in a simple brain teaser! Puzzle Mania Pro is an easy to use Puzzle Game with a Twist. It has the ability to provide hints to work to solving or actually solve before your very eyes! The algorithm being used has a mix of mathematical and human intelligence. 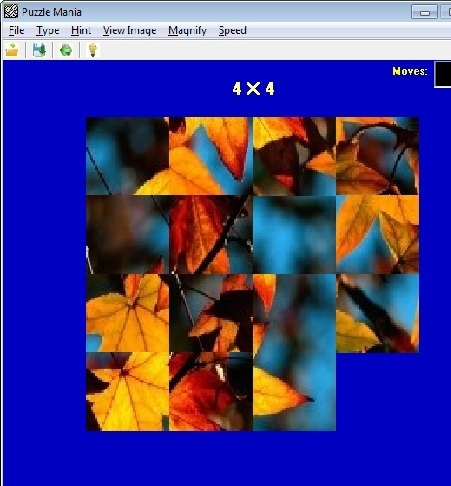 Puzzle Mania Pro can be be used as a tool to teach problem solving skills for beginner to advanced for all age groups. Play and Learn how to Solve with Pizzle Mania! Import any Picture in your archive. Supports 3x3 to 10x10 piece puzzles. Ability to provide Hints or Solve before your very eyes! Ability to set the speed for each move.